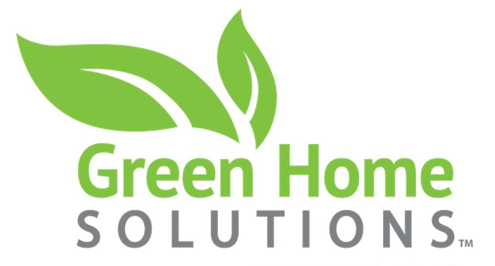 I was at the Home Show, that our member Dave Urgo runs, and Dave introduced me to a guy named Andy Brady of Green Home Solutions. Andy is interested in teaming up with Landlords and Flippers to assist with any kind of mold related issue. These guys use some high tech machines that put off a mist of enzymes in the air that will actually eat the mold. As you know back in the day the mold guys used to tell us that they had to completely gut the place and you would end up with a mega bill that wasn’t with it. And if you didn’t do that you are all going to die. LOL. The prices that Green Home Solutions charges are very affordable. You can now buy those houses that have massive mold issues, get it for a huge discount, and get Andy to come in and get rid of all of that mold for next to nothing. And this is why its such a benefit to be a member of our group. We actively search out these kinds of opportunities that you can take advantage of. When you know the right people you can turn major disadvantages into advantages for you that will make you lots of money. When other investors don’t know what you know or who you know you have the ability to pay nothing for a property and then get it fixed up for next to nothing. The other guys and gals are thinking they have to rip it out down to the studs and start over and their price is going to reflect that. Andy showed me some before his machine, and after his machine photos. It’s absolutely amazing what these enzymes do without having to tear the place apart to do it. Andy is also a good guy to have on your side in a tenant dispute regarding mold. And I’m sure if you threw him a few bucks he would go to court with you as an expert witness if needed as well. As you know mold is the next big thing that the previous federal administration had targeted via the EPA which is currently being gutted and rebuilt to be fair. Andy has a much more realistic outlook about mold and what to inexpensively if you do have an issue. And he will be on your side from the start to the end which is important with such a litigious society that we currently live in. Come on out and hear about this new enzyme technology and meet a young man who is gunning for our business. The same as last year, we’re going to bump it up to $150 for anyone paying after February. Dues to this group are VERY CHEAP at $100. They are cheaper than your other groups. So pay NOW please. Look below at the several possible ways to pay. You will save much more than that measly 100 dollars in what you learn in our meetings so stop being so cheap. You will save way more than that if you use our group discounts at Lowes, Home Depot, etc. You will also earn thousands of dollars every single year as a result of our group if you take full advantage of it and network. If you don’t know how to do that you can ask me and I’ll tell you. I didn’t have that totally figured out myself the first few years due to being so antisocial but I have it figured out now. Let me remind you that we are all volunteers so it’s not like you’re personally helping us out or anything. You’re helping out the group as a whole. Helping us work towards developing an organization that will always be here for investors even if the current officers decide they are tired of doing free work and quit. We are working towards the group actually earning enough income to pay someone to manage it. I sure would like to be able to come to the meeting one day and kick back to just listen without having a single bit of the daily effort I currently have to do to keep it afloat. And I know the other officers would like the same. This is a lot of work to keep it going and we need you to help us out with this tiny yearly amount so we can get it up on it’s own feet and off our backs. Ohh, and if you want to help out and become an officer of the group you are also more than welcome to do that as well. We always have boatloads of projects that we don’t have time to accomplish. Right now, in particular, we are looking for someone who is interested in the political aspects of Real Estate and legislation. We need someone who will work with our assistance on rewriting some laws, word changes, etc that we can submit to local legislatures to attempt to make some statewide changes that will benefit small business in our industry. That person, if they wanted to, could also be in charge of looking at some of the local issues we have and potentially talking with attorneys to see what grounds we have for various lawsuits to defend our members who have good cases that we want to take. There isn’t a lot of prior experience with any of this required. We can help guide you and bring you up to speed with what’s currently going on. So if you’re interested, please let me know. See ya at the investor meeting!